On February 15, India’s space agency ISRO launched a record-breaking 104 satellites from a single rocket. The feat overtook the previous record of 37 satellites, held by Russia in 2014. The entire nation stood proud at the amazing mission by India’s scientists. And tributes starting pouring in by the hundreds, a lot of which focused on showing off to the rest of the world, in a pretty humorous way. Which is totally fair, because let’s go back a few years to 2014. 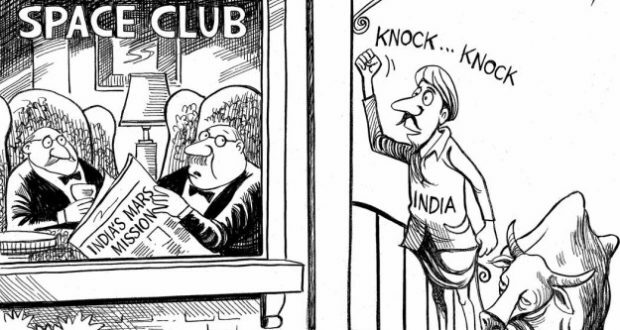 After India launched Mangalyaan, the satellite to Mars, The New York Times weighed in with this cartoon. The cartoon was largely criticised at the time for being offensive to Indians. So much so that the publication issued an apology. 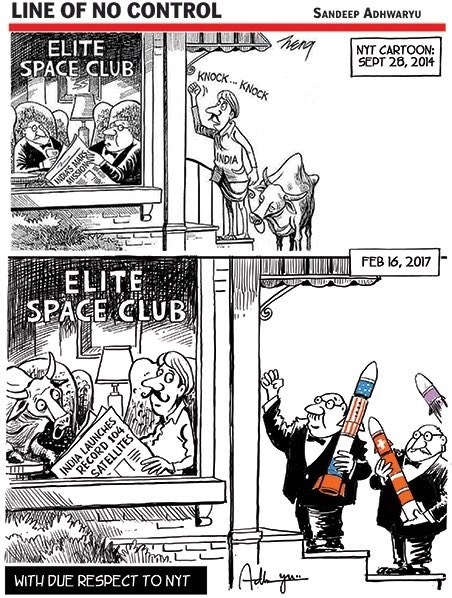 Well, three years later, The Times Of India has published a cartoon referencing the NYT cartoon, and it is a pretty epic burn. The cartoon was drawn by TOI’s Chief Cartoonist Sandeep Adhwaryu. It depicts a flip of situations in which India, being at the forefront of space research, sits inside the “Elite Space Club” and The United States and other countries knock on the door, hoping to get in. And people really, really love it.